This is a very durable saddle bag, made out of a 1000 denier cordura material. We use one solid piece, which starts on one side of the saddle bag, goes all the way around and back up to the other side of the saddle bag. In addition, we reinforce the saddle bag with 2 x 2” heavy duty polypropylene nylon webbing straps, which provides support and stability. Each bag has a inner zipper lid plus an outer flap with 2 x 1” plastic snaps. On the front side of each bag are 2 small compartments with a Velcro closure. 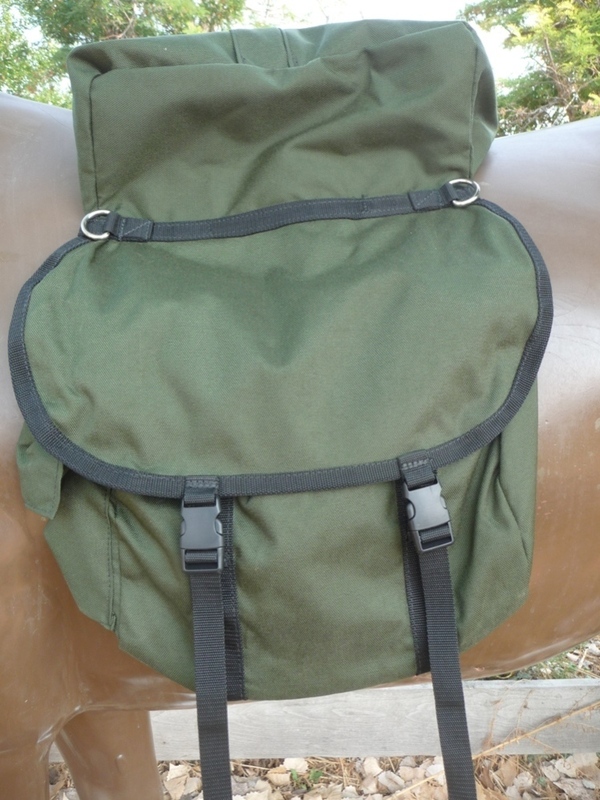 The cantle bag on the large weekender is big enough to fit a sleeping bag and/or tent. 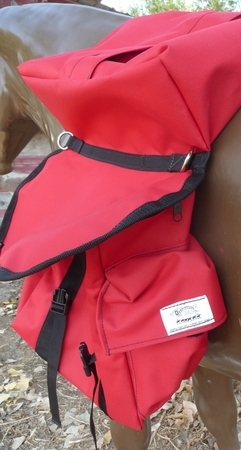 NEW: We added 2 x 1 inch straps around the cantle bag to tie down your load better. See additional pictures. Please take a look at our video. Just click on the link below.